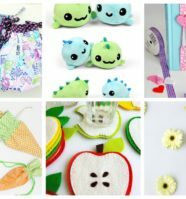 Whether you are a beginner or an expert at sewing, or whether you sew for creative fun or necessity – knowing these sewing stitches are a must! 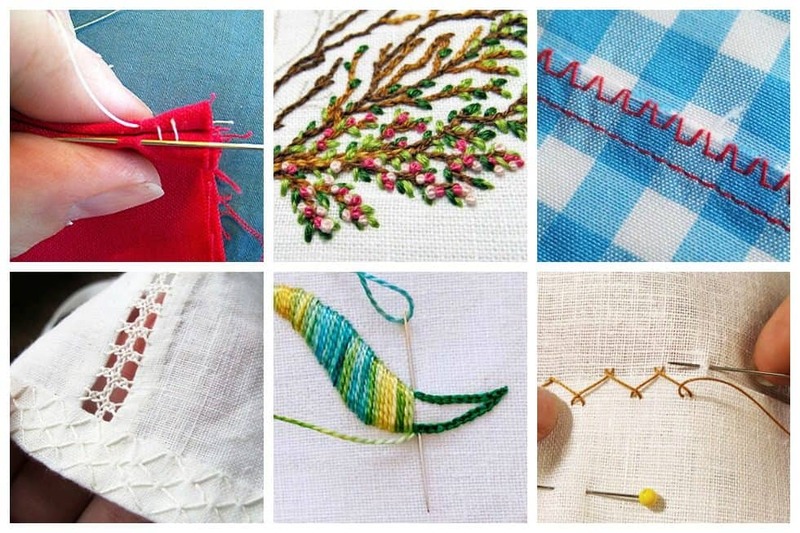 From the basic to advanced decorative, these 9 sewing stitches are a must-learn and will definitely come in handy for many sewing projects that you may have in the future. The overcasting stitch is one of the most versatile on your machine. The overcasting stitch can be used to finish the edge of your fabric rather like the zig-zag stitch, but often gives a much neater finish. Oh, those naughty knots! 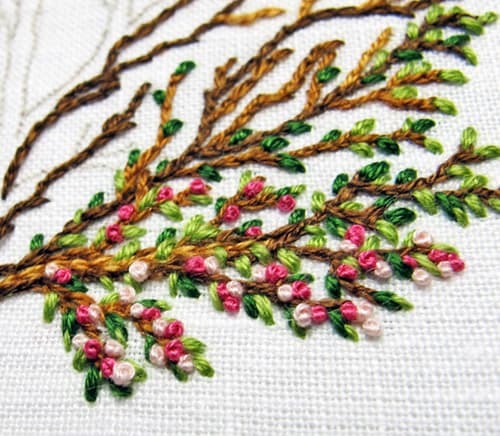 The French knot is one of those hand embroidery stitches that is either your best friend or your worst enemy. Some people love ’em, and some people hate ’em. 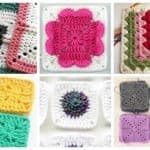 Many cross-stitching patterns recommend using a backstitch to outline and/or provide definition to a design. 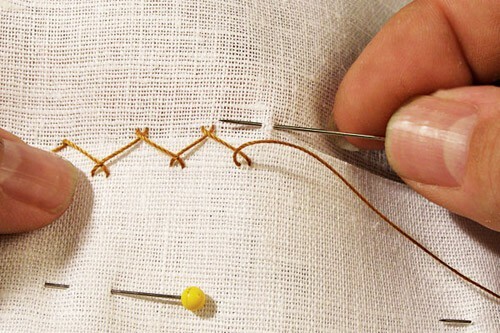 Backstitching is also often used when adding lettering to your needlework. 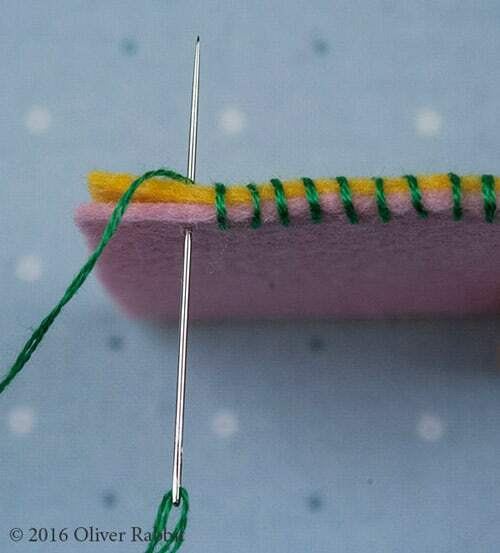 The ladder stitch or invisible stitch is a great hand sewing stitch when mending holes in toys and sewing up the last little opening on newly sewn soft toys. 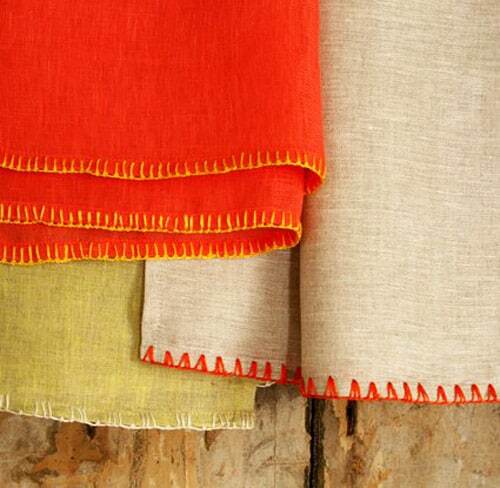 This stitch keeps layers of fabric flat against one another, such as a hem or seam allowances. Use it on lined garments because the lining covers and protects the surface threads, which tend to catch on things. You can vary the stitch length according to taste. 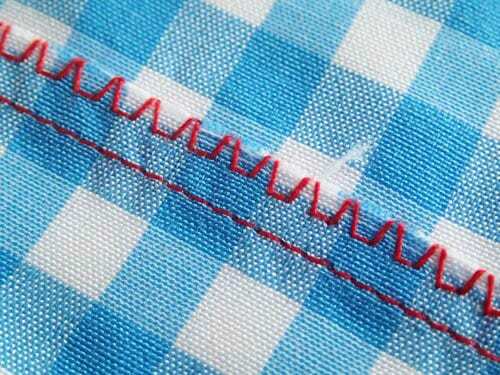 Outlined stitch is also known as the raised satin stitch. You can see why, when you look at how this stitch is constructed. It is simple to work as it is created by working straight stitches close together over an outline of chain stitches. This stitch is beautiful, made by weaving over the double herringbone stitch with another thread of same or different color. This stitch requires patience to learn. Once learned, it will be very easy to do this stitch, and will never be forgotten! 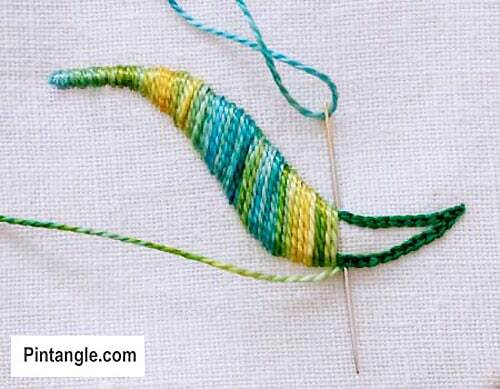 The blanket stitch (also known as a buttonhole stitch) and will be started in the same way for each variation. It is the thread looping over itself in this manner that creates the blanket stitch. 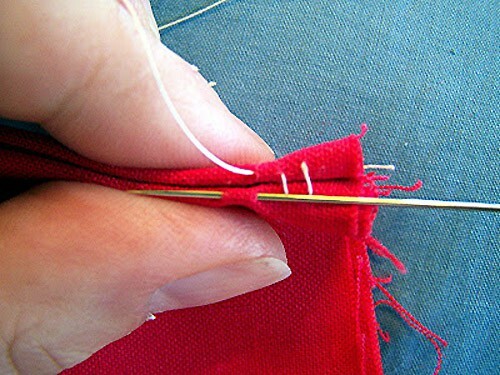 The whip stitch is a simple hand-sewing method often used to sew two pieces of felt together. 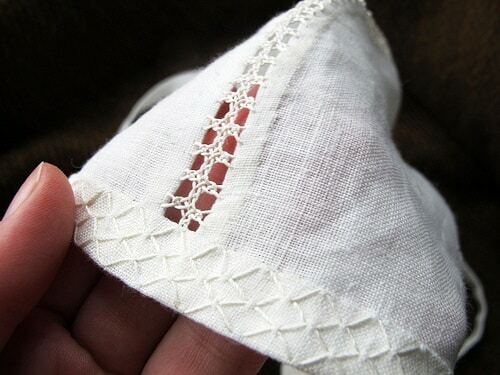 It is popular for making softies because the edges meet each other when the sewn seam is “opened” and the joined pieces of felt spread apart as one sheet. Additionally, whip stitches are tiny and “melt” into the fabric, producing nicely curved shapes when a softie is firmly stuffed. 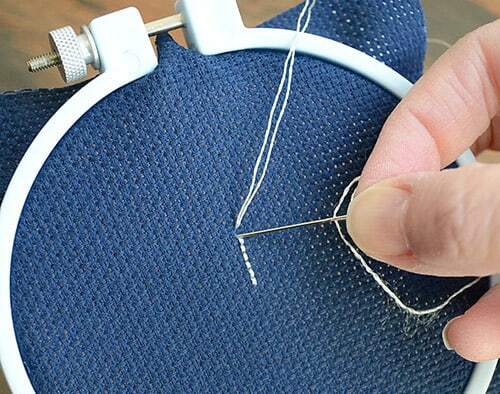 How many of these sewing stitches have you mastered? 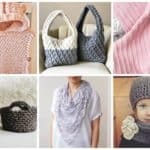 Know more sewing stitches you’d love to share? Please do in the comments section, we would love to learn more! 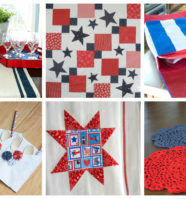 For more sewing fun, check out these fabulous books! 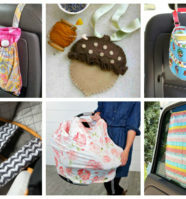 Sew Everything Workshop: The Complete Step-by-Step Beginner’s Guide with 25 Fabulous Original Designs, Including 10 Patterns, One-Yard Wonders: 101 Sewing Projects; Look How Much You Can Make with Just One Yard of Fabric!